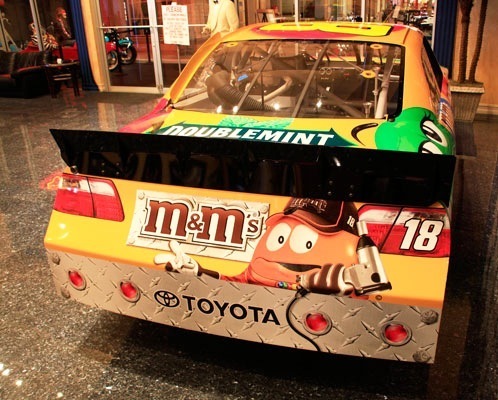 It could be said that NASCAR Sprint Cup Series standout Kyle Busch, driver of the No. 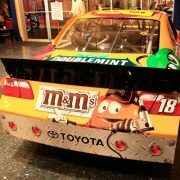 18 M&M’s Toyota Camry for Joe Gibbs Racing (JGR), lives by those two Raiderisms. For there is nothing more important to the 25-year-old than winning races, and he demands a commitment to excellence from not only his team but, most of all, himself. As of January 2010, Busch has tallied 86 career wins among NASCAR’s top three divisions: (Sprint Cup 19, Nationwide Series 43, Truck Series 24). 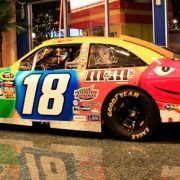 Those 86 overall wins put Busch all alone in eighth place on the all-time NASCAR win list, and the young talent is well positioned to keep adding his name to the NASCAR record books for years to come. Most NASCAR observers agree that Busch is one of the most talented drivers in the garage and is a threat to win every time he enters a race. He has scored at least one victory per season in each of NASCAR’s top three divisions every year since 2005 and has won three or more races in each division each of the past three seasons. His rise to one of the top drivers in the sport unofficially began at age 6, when Busch cruised around the cul-de-sac of his family’s Las Vegas neighborhood in a makeshift go-kart. That Busch was too small to reach the throttle didn’t stop him from picking up the basics. His father, Tom, held down the gas pedal while he steered the kart on the street. 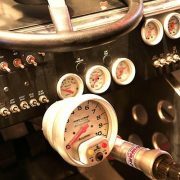 Once Busch was tall enough to reach the gas pedal on his own, an accelerated pace was set for his future career in motorsports. 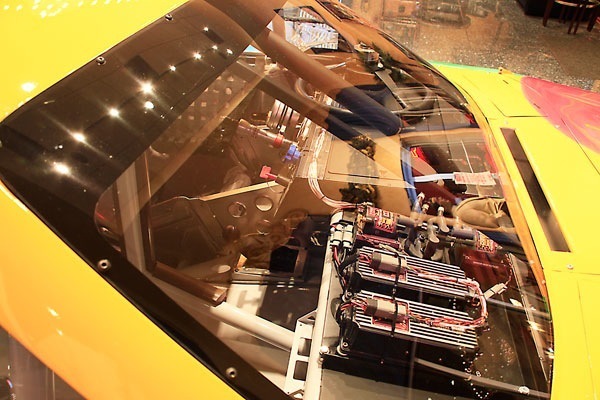 Throughout his childhood, Busch spent countless hours as an apprentice in the family garage to his father and his older brother Kurt, learning to build and repair racecars. 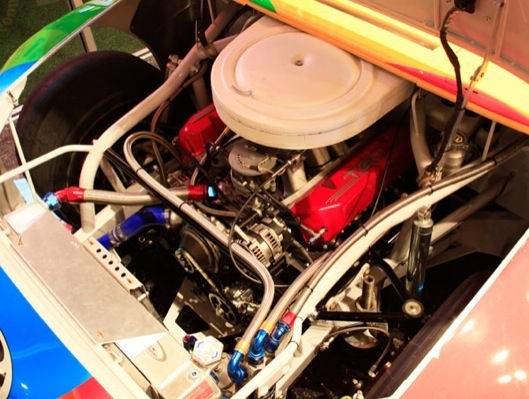 By age 10, Busch was a full-fledged mechanic and served as crew chief on his older brother’s Dwarf car team. 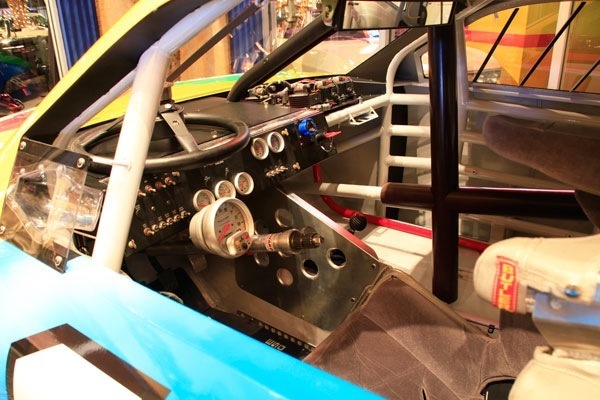 In 1998, shortly after his 13th birthday, Busch’s driving career officially began. Given his young age, schoolwork was always first priority. He was an honor student, but his extracurricular activities always included a racecar. Busch’s parents taught him accountability, meaning if he wanted to race, he was responsible to work on, repair and pay for his own cars. Busch learned early on that carelessness on the track proved costly, resulting in wrecked equipment and not being prepared for the next event. 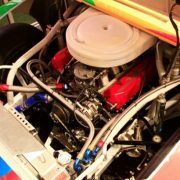 He took pride in his racecars and raced competitors with respect. 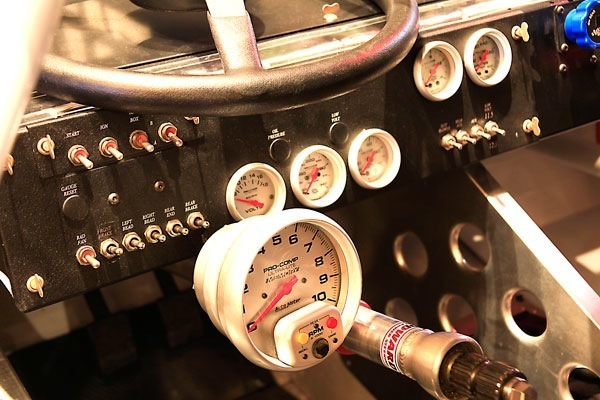 From 1999 to 2001, Busch earned more than 65 wins in Legends cars as he racked up two track championships at the Las Vegas Motor Speedway “Bullring” before moving up to Late Model stock cars. Winning seemed to come naturally no matter what Busch drove as he captured 10 victories in Late Model competition at the Bullring in 2001. 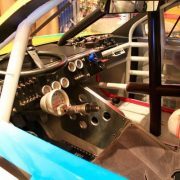 His winning reputation and potential for success began to pique the interest of car owners in NASCAR, and on Aug. 3, 2001, at age 16, Busch made his NASCAR Camping World Truck Series debut driving for Roush Fenway Racing at O’Reilly Raceway Park near Indianapolis, where he started 23rd and finished ninth. 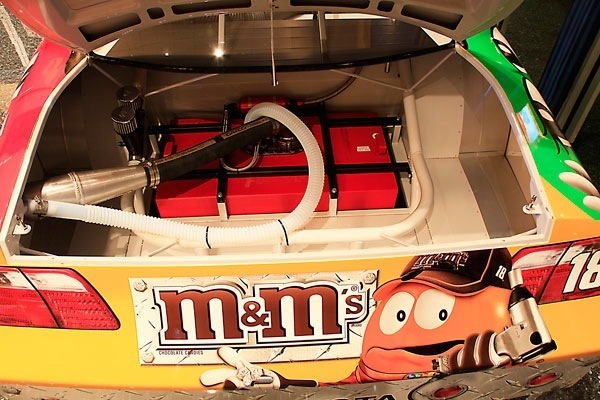 Shortly thereafter, an unexpected ruling by NASCAR that enacted a minimum age requirement for competitors in NASCAR’s top three series sidelined Busch until his 18th birthday. Instead of sitting idle until that magic date, Busch turned his attention to the American Speed Association and ran the entire 2002 schedule. In a division that prepared the likes of Mark Martin, Alan Kulwicki and Rusty Wallace for NASCAR, Busch was successful once again by posting five top-fives and 10 top-10s in 20 starts, ending the season eighth in points. That same year, he graduated with honors – one year early, no less – from Durango High School in Las Vegas. Prior to his 18th birthday in 2003, Busch signed with Hendrick Motorsports and quickly got down to business, winning his very first ARCA Series race at Nashville (Tenn.) Superspeedway from the pole position, and followed it up with a second win at Kentucky Speedway in Sparta in his very next outing. Upon turning 18, he entered seven races in the Nationwide Series – the stepping stone to the elite Sprint Cup Series – and notched a runner-up finish at Charlotte (N.C.) Motor Speedway in his very first start. Busch finished the year with two second-place finishes, three top-10 finishes and five top-10 qualifying efforts. The 2004 season started off on a high note as Busch nabbed an ARCA victory Feb. 7 in his first career start on the high banks of Daytona (Fla.) International Speedway. And after his first full season in the Nationwide Series, Busch was the youngest top rookie in series history at age 19. Busch grabbed his first Nationwide Series victory on May 14, 2004 at Richmond (Va.) International Raceway. The win sparked four more – at Charlotte, Kentucky, O’Reilly Raceway Park and Michigan International Speedway in Brooklyn. When it was all said and done, Busch ended the year with five poles, five wins, 16 top-fives, 22 top-10s and a runner-up finish in the point standings. To gain experience and seat time in NASCAR’s premier series, Busch also qualified for six Sprint Cup races. In late 2004, Busch’s career dreams came true as he was selected to replace the retiring Terry Labonte in Hendrick Motorsports’ No. 5 car beginning in 2005. At age 19, Busch started the 2005 season with a record-setting pole at Auto Club Speedway in Fontana, Calif., in just his eighth career Sprint Cup start. Busch, who was 19 years, 317 days old, broke the record previously held by Donald Thomas, who was 20 years, 129 days old when he won the pole at Lakewood (Ga.) Speedway on Nov. 16, 1952. Thomas went on to win that race and remained the youngest race winner in Sprint Cup history until Busch won at Fontana on Sept. 4, 2005. Busch bested Thomas’ record by a mere four days and held the title as youngest Sprint Cup winner until his JGR teammate, Joey Logano, won in June 2009 at New Hampshire Motor Speedway in Loudon at 19 years, one month and four days. Finishing out his rookie season with another victory at Phoenix International Raceway in November, Busch’s first year consisted of one pole, nine top-fives, 13 top-10s, two wins and a 20th-place finish in the standings. Busch bookended his Nationwide Series Rookie of the Year trophy from 2004 by winning the Sprint Cup Series Rookie of the Year title in 2005. The 2006 season brought more success for Busch as he notched another pole at Phoenix in April and his third race win at New Hampshire in July. In addition to the pole and race win, Busch managed to bring home 10 top-five and 18 top-10 finishes while finishing 10th in the point standings after qualifying for his first Chase for the Championship, where Busch was, yet again, the youngest driver to ever become Chase eligible. He continued his success in his third full season in 2007 by winning at Bristol (Tenn.) Motor Speedway in March and again qualifying for the Chase. He finished the season with a remarkable 20 top-10s and 11 top-fives and went on to complete the season fifth in the final point standings – his career best. 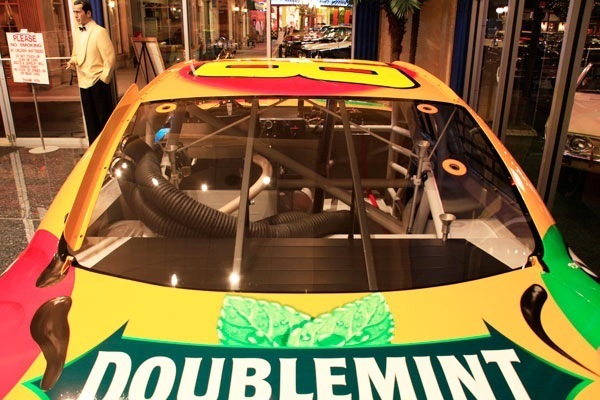 In the offseason, Busch moved to Joe Gibbs Racing (JGR) to pilot the team’s legendary No. 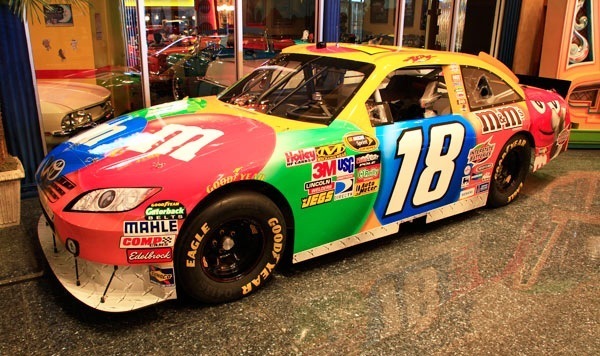 18 machine after his four seasons at rival Hendrick Motorsports. 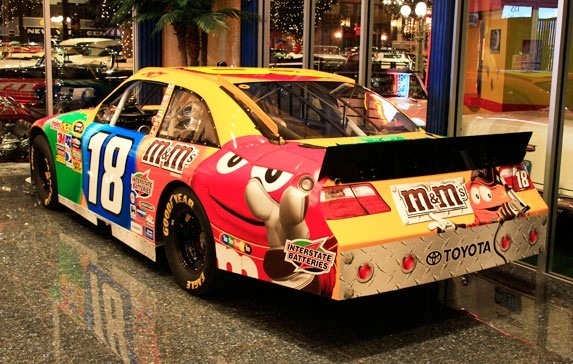 In the meantime, JGR was in the middle of a major change of its own, having switched from Chevrolet to new manufacturer Toyota and M&M’s Chocolate Candies becoming the primary sponsor of the No. 18 car. The Busch-JGR-M&M’s-Toyota combination quickly became successful and yielded eight Sprint Cup wins, 17 top-five and 21 top-10 finishes en route to a 10th-place finish in the points. Adding to his Sprint Cup success, Busch began to win in seemingly everything he drove. By season’s end, the Las Vegas native had notched 21 victories across NASCAR’s top three series – Sprint Cup (eight), Nationwide (10) and Camping World Truck (three). Busch bested the previous record by seven wins for most victories overall in a season since the addition of the NASCAR Camping World Truck Series in 1995. The 2009 season saw more of the same as Busch drove the No. 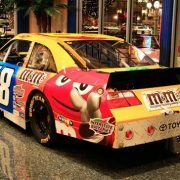 18 M&M’s Toyota to victory in four races, including an emotional win at his home track of Las Vegas Motor Speedway, which was being constructed when his career was just beginning. He also scored 13 top-10 finishes en route to a 13th-place finish in the points. Busch also won his first NASCAR title of any kind by defeating runner-up Carl Edwards by 210 points to win the 2009 Nationwide Series title driving for JGR. And the championship will likely go down as one of the most impressive in NASCAR’s 62-year history. His 5,682 points scored in 2009 were the most ever by a Nationwide Series competitor, as were the 2,698 laps he led throughout the season. Busch totaled nine wins – four more than any other driver in 2009 – while he finished second 11 times for a single-season Nationwide Series record. Busch’s 25 top-five finishes were the most since Jeff Green scored 25 top-fives in a 32-race season in 2000. Busch failed to lead a lap in only three races and led more than 50 percent of the laps in a race an incredible 12 times. The point race was never really in doubt as he topped the standings after 30 of the 35 events, including the last 29 of the season. In addition to his Nationwide Series championship in 2009, Busch continued to participate in a limited Camping World Truck Series schedule and drove to victory lane seven times in just 15 starts. While it seemed as if his 2008 and 2009 season would be hard to top, Busch stepped up his game yet again in 2010. 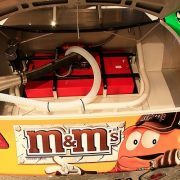 Across all three of NASCAR’s national series last season, Busch made 81 total starts – 36 in the Sprint Cup Series, 29 in the Nationwide Series, and 16 in the Camping World Truck Series, the latter of which he served as driver-owner of Kyle Busch Motorsports (KBM) during its inaugural season. He won 24 races across three divisions – three in Sprint Cup, a record-smashing 13 in Nationwide and eight in the Truck Series for an incredible winning percentage of nearly 30 percent. Coupled with his 21 overall wins in 2008 and 20 overall wins in 2009, the talented 25-year-old has recorded an astounding 65 overall victories over the past three seasons. In addition to his remarkable win totals, the Las Vegas native had 45 top-five and 57 top-10 finishes, as well as 11 poles among NASCAR’s top three series in 2010. And, as Busch has done routinely since joining the powerhouse JGR organization at the beginning of the 2008 season, Busch also found several new ways to add his name to the record books in 2010. Including the aforementioned 13 Nationwide Series wins, which shattered the mark of 10 wins set by Sam Ard in 1983 and tied by Busch in 2008, Busch broke Mark Martin’s Nationwide Series career record of 8,082 laps led for his 9,466 career laps-led tally that is now an all-time high. In addition to being the all-time Nationwide Series lap leader, Busch now sits just five wins behind Martin’s series record of 48 wins. Another impressive accomplishment for Busch in 2010 came in August at Bristol, where he swept the slate of NASCAR races at the .533-mile oval to become the first driver in history to win all three of NASCAR’s national touring series events in the same weekend. While he fell short of a Sprint Cup title with the No. 18 Sprint Cup team, Busch did qualify for the Chase and finished eighth in points. However, Busch’s talents helped earn two other teams a championship in 2010. In addition to his part in vaulting JGR’s No. 18 Nationwide Series owner title – JGR’s third title in a row – Busch guided his own KBM Toyota team to the 2010 Camping World Truck Series owner title, which was made even more impressive by the fact the team was only in its first year of existence. 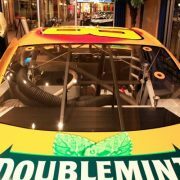 Busch will again drive in all three of NASCAR’s top divisions in 2011. In the Nationwide Series, Busch is scheduled to participate in select races conducted in conjunction with Sprint Cup Series events. 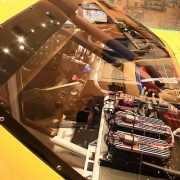 In addition to his Sprint Cup and Nationwide duties, Busch will continue to pilot the No. 18 Toyota Tundra in select races when the Camping World Truck Series is paired with the Sprint Cup Series. In addition to his aggressive nature behind the wheel of a race car, Busch has a strong charitable drive. 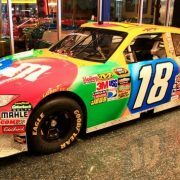 He formed the Kyle Busch Foundation in 2006 to benefit child and adolescent agencies that provide safe living environments for the less fortunate. The Foundation currently supports homes in Grand Rapids, Mich., Concord, N.C., Atlanta, Mesa, Ariz., and Las Vegas. Busch, recently married, resides in Mooresville, N.C., with his wife Samantha.